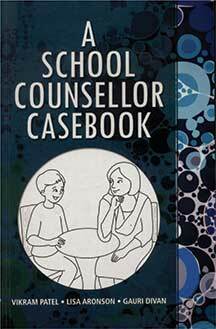 A School Counsellor Casebook is a must read book for future school counsellors in India. An extremely useful resource in an area where resources are scarce, this book provides a deeper understanding of childhood and adolescence to its readers. It is a manual that provides parents, teachers, counsellors, basically anyone in professions dealing with children with a clear overview of the complicated psychological and physiological changes occurring during adolescence and childhood and the best ways to go about dealing with them. School years, going from pre-school (age 3-5) to high school (age 14-17) seem to be the happiest, healthiest and also sometimes the hardest years in a person’s life. These are the years that are filled with tremendous changes and not every child/adolescent can cope with these changes in a positive way. A listening ear, an understanding heart, support and guidance together with knowledge and skill about the issues that adolescents face can make a world of difference in a child/adolescent’s life. In today’s fast paced world, an adult sometimes seems to forget that a child at the end of the day is a child who cannot be expected to understand and do things the way an adult would. This book is an eye-opener for anyone who reads it. Divided into two parts, A School Counsellor Casebook starts off with a simple introduction to child and adolescent development going deeper into the problems and possible disorders that may occur during these years. It also gives a deeper perspective to the counsellor’s role in the school and how to go about building a therapeutic relationship, counselling skills and case management and clear definitions on counselling ethics and the reasons they are there. The second part of the book comprises 20 case studies which deal with the issues listed below. These case studies not only challenge you to open up your mind to what goes on with a young person, but also provide guidance when a counsellor may feel he has hit a wall in a case and doesn’t know what else to look for. On top of this, The School Counsellor Casebook also provides a sample intake, case formulation and follow-up forms which make for easier paperwork and case management. All in all this book is a must have on a school counsellor’s book shelf. The reviewer is an MA in psychology and works as a counsellor in a Hyderabad school.